If you are visiting Dorp ensure you know the rules and regulation for swimming as they may not be the same as in your home town. 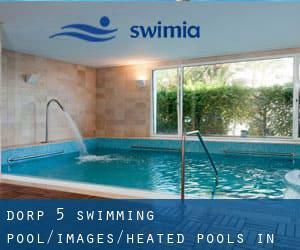 Swimia.com wants your feedback to ensure all the information is valid, since perhaps this pool is no longer open to the public. Are you a regular swimmer? Do you visit exactly the same Heated Pools in Dorp (North Rhine-Westphalia) (North Rhine-Westphalia)? Please check that all of the details for your aquatic center are right and contact us for those who locate any mistake. We currently have the following Heated Pools in Dorp (North Rhine-Westphalia) (North Rhine-Westphalia), but we are consistently grateful for any corrections or contributions. Get in touch through our contact type. These are the Heated Pools in Dorp (North Rhine-Westphalia) (North Rhine-Westphalia) other users have reported. Are you a local and your pool is not listed? Contact us to ADD IT. It is no cost! The most beneficial pools to swim are definitely indoor olympic pools. Updated on 2019 Bergenkamp 7 , Unna , GERMANY (Postal Code: 59425). This sports center provides 25 meters, Indoors. For this Swimming Pool, only phone number is number here. Updated on 2019 Paul-Baumann-Straße , Marl , GERMANY (Postal Code: 45772). Swimmers like you reported 25 meters, 5 lanes, Indoors. Unfortunately we do not have the email address of this Pool, but we can provide you with the phone number. Updated on 2019 Am Büscherhof 25 , Leichlingen , GERMANY (Postal Code: 42799). Swimmers like you reported 25 meters x 12.5 meters, Indoors. Phone number and e-mail address are number for this Swimming Pool. Updated on 2019 Dülmener Straße 80 , Coesfeld , GERMANY (Postal Code: 48653). Swimmers like you reported 25 meters, 5 lanes, Indoors. Phone number and e-mail address are number for this Swimming Pool. Updated on 2019 Vormholzer Ring 58 , Witten , GERMANY (Postal Code: 58456). This sports center provides 25 meters, 4 lanes, Indoors. For this Pool, only phone number is number here. Updated on 2019 Bernhard-Weiss-Platz 10 , Hilchenbach , GERMANY (Postal Code: 57271). This sports center offers 25 meters x 10 meters, 4 lanes, 0.9 meters - 3.9 meters depth, 0.9 meters - 3.9 meters depth, Indoors. Contact information for this Swimming Pool similar to phone number and email address are number. Updated on 2019 Seeuferstraße 26 , Iserlohn , GERMANY (Postal Code: 58636). Swimmers like you reported 25 meters x 33-1/3 meters, 2 meters - 4 meters depth, 2 meters - 4 meters depth, Indoors. Phone number and e-mail address are number for this Pool. Updated on 2019 Epelstraße 23 , Gummersbach , GERMANY (Postal Code: 51645). Among all the activities offered by the center, for anybody who is interested in swimming you might enjoy 25 meters, 4 lanes, Indoors. Just in case you would like to contact this Pool just before dropping by, we only know the phone number. Updated on 2019 Ringstr. 4 , Enger , GERMANY (Postal Code: 32130). Among all the activities offered by the center, for anyone who is interested in swimming you are going to get pleasure from 25 meters x 10 meters, Indoors. Just in case you want to contact this Pool before dropping by, we only know the phone number. Updated on 2019 Am Stadion 3 , Bergkamen , GERMANY (Postal Code: 59192). Among all the activities offered by the center, for anybody who is thinking about swimming you may delight in 25 meters x 12.5 meters, 4 lanes, 0.9 meters - 3.8 meters depth, 0.9 meters - 3.8 meters depth, Indoors. Just in case you wish to get in touch with this Swimming Pool before dropping by, we only know the phone number. Updated on 2019 Zum Sportzentrum 9 , Hueckeswagen , GERMANY (Postal Code: 42499). This sports center offers 25 meters x 10 meters, 4 lanes, 1.3 meters - 3.8 meters depth, 1.3 meters - 3.8 meters depth, Indoors. 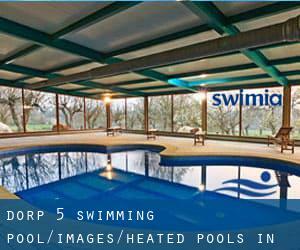 Contact information for this Swimming Pool for instance phone number and email address are number. Updated on 2019 Grasacker 7 , Werdohl , GERMANY (Postal Code: 58791). Swimmers like you reported 25 meters, 4 lanes, Indoors. Unfortunately we do not have the e-mail address of this Swimming Pool, but we can give you the phone number. Updated on 2019 Siegstraße 119 , Menden , Sankt Augustin , GERMANY (Postal Code: 53757). This sports center delivers 25 meters x 10 meters, Indoors. For this Pool, only phone number is number here.